Ok I'm late ..loads of DKR review already out there, but seeing that the blog has been fairly quiet. I gotta update something. 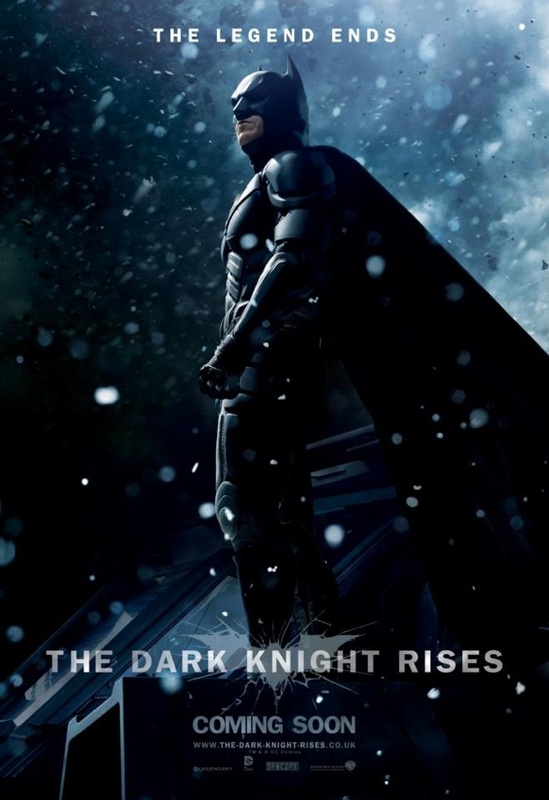 So yeah DKR..pretty awesome no? Watching DKR brought me back to a scene in Scream 3 about trilogies. "But-here's the critical thing-if you find yourself dealing with an unexpected back story and a preponderance of exposition, then the sequel rules DO NOT apply. Because you are not dealing with a sequel, you are dealing with the concluding chapter of a trilogy." Sorry bout that, just wanted to show you readers what was going through my mind while watching DKR...so yeah..went through the 3 points, basically each one of the points can be checked ergo a pretty solid trilogy and ending to Nolan's Batman. Now let's move on to the cast, the cast was stellar! 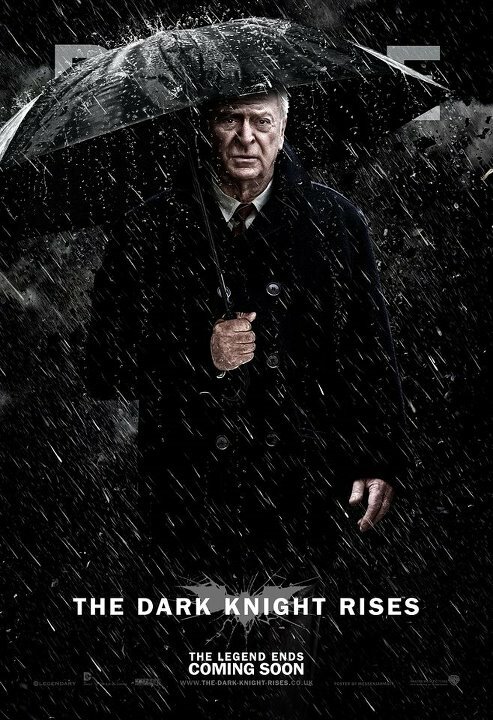 Everyone did good especially Alfred, though not much screen time ..whenever he pops up he shines..specially the emotional scenes ..Michael Caine hit all the right spot..I got teary at one point!...damn that old man! Bane..I dunno..a lot said even with the mask blocking his facial expression he did great..I was not one of em..his mask and god-awful wtf is he talking bout voice is slightly distracting..though not entirely Tom Hardy's fault, I still think Bane was just..OK (probably I was comparing too much with Heath's Joker kot). 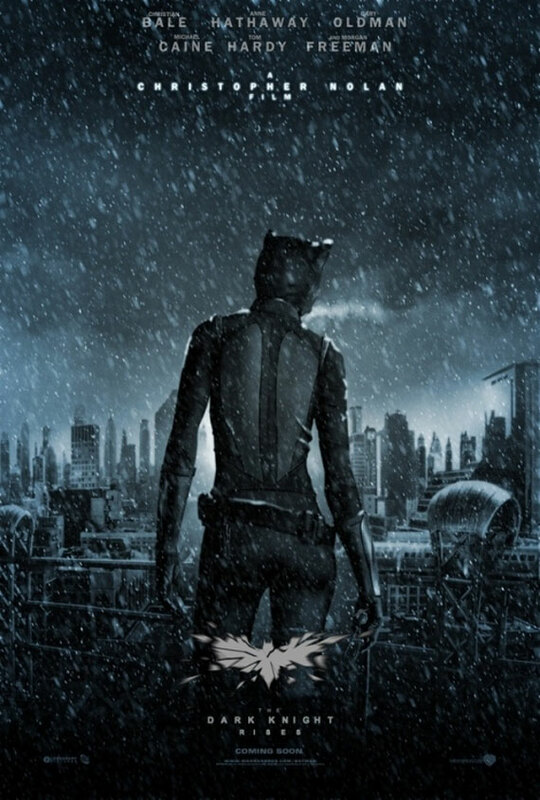 Selina Kyle!..awesome, but Michelle Pfeiffer is still the Ultimate Catwoman. Bale, Freeman, Oldman all did well as usual but Joseph Gordon was THE man..dude rules...his transition from an unknown cop to a detective then to the few remaining resistance in Gotham was a hoot to watch. Another thing noteworthy was the score..love it love it..gave me chills..it was as good as TDK..erm what else..Ok the bad..not really much but the flick does feel choppy at times, switches from one scene to another way too fast..BUT i guess it is acceptable cause if not the time length might exceed 3 hrs which is just too much for me to bear. Bane (again) ..at first I found him a bit eh..(cause I was comparing to Joker (again) I guess..but as the movie progress I dig him (character-wise) cause he was a force to reckon for. When Gotham started blowing up here and there, I was like.."yeah the dude's nuts" ...he gave Batman a real challenge allright..I do actually wish they would show his kills (victim) onscreen rather than cutting it to another scene..it will show his brutality more. 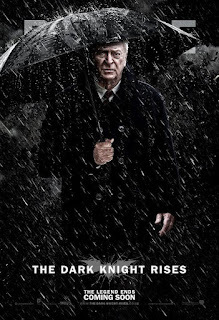 Oh but the final battle with him and Batman was a bit lackluster..just a bit. After dunno how many years I'm working normal 9-5 hrs this week...and I'm kinda happy bout it..dunno why..I'm just weird like that I suppose.. Anyway...while opening the windows to watch the sun rise up...I suddenly was reminded of this one scene from As Good As It Gets a fav Oscar nominated movie of mine...I love Jack Nicholson btw...hence y I can't still decide who is the better Joker (him or Heath) ..and that is all readers...enjoy the week! And you know what that means? Holiday!!!!! 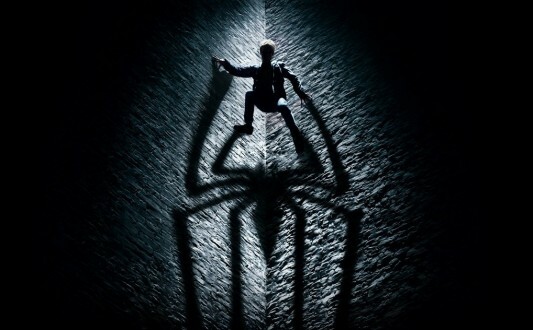 and just right on time...cause I can go watch Spiderman..and I just did!! It was in a way great!..it certainly went for a different direction. It's more how should I put this..I guess I would say less comic-cy (if that's even a word), like Sam Raimi's Spiderman when I see the movie it felt like an adaption from the comic in which I like..this time around it's more real, less comical (now THAT's a word) slightly darker. 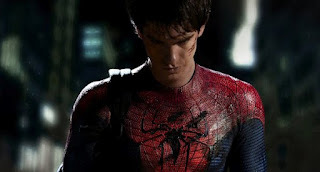 Peter this time around is mostly pissed and they found a pretty good actor to convey the emotion to screen, Andrew Garfield I can say is a sound choice, but I do still think Tobey McGuire is THE Peter Parker. The other cast member did a fairly good job, was surprise to see C. Thomas Howell and Embeth Davidtz making small appearance in the movie. Now Gwen Stacy, Emma Stone nailed it..she's the perfect Gwen and character wise she was awesome! unlike Mary Jane whose job was just to scream a wail..Gwen fought back and she was pretty smart! (Mary Jane still got the body though..hello upside down kiss! )The Villain, he was ok...nothing can top Dr. Octopus who was more the sympathetic villain than The Lizard. 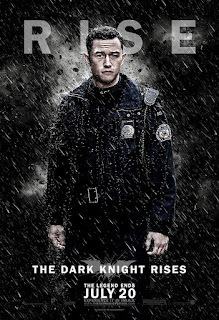 Story was good, very clear despite being a darker version of the first 3 films. I like that they started in high school and stick there till the end of movie. That's 1 thing I really like this one in comparison to the first Sam Raimi's Spiderman, the didn't rush the makings of Spiderman. 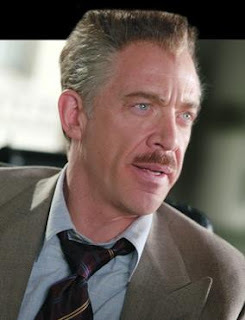 I also like the mystery behind Spiderman's family..come to think of it, I don't really know his origin..then again I don't read Spiderman..I know bits of his character and that is all. Overall, it's definitely good..but I miss Tobey McGuire and Sam Raimi's touch...oh another thing I miss; j jonah jameson! p/s : stay for the credits, it's nothing much really..but just stay.